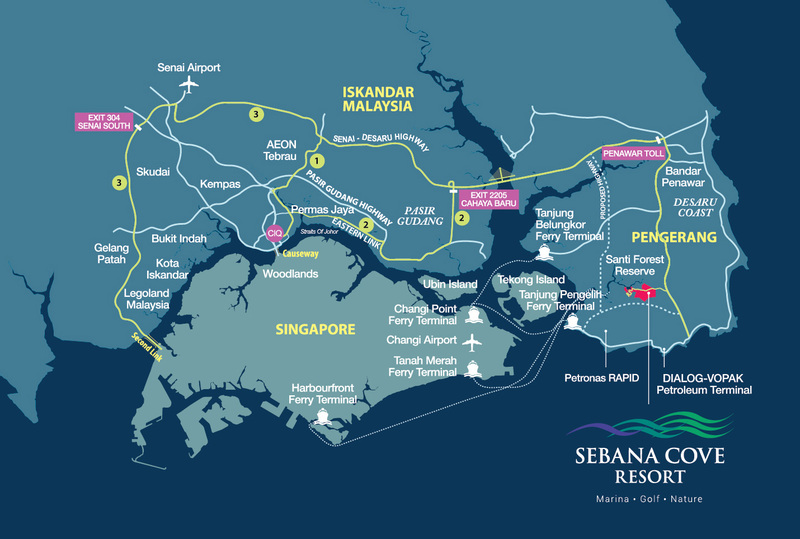 The resort township provides ease of connectivity to Singapore within 30 minutes via the Tg. Belungkor-Changi Point ferry terminal. Even better news, a car ferry service is projected to be in operation in 2016. If you prefer to just drive to the township, it is approximately 1 hour away from Woodland via the Senai Desaru Highway.